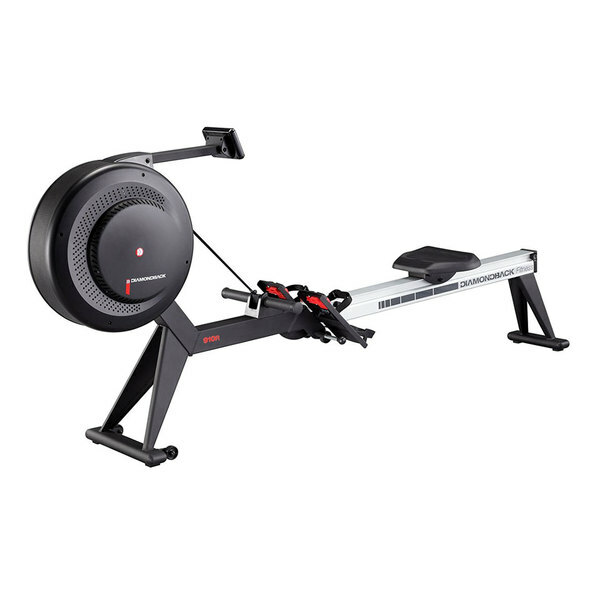 The Diamondback 910R rower is currently the only model in the lineup, but it's got a lot of nice features and is priced well, with the high quality components and unique design that the company is known for. With a combination of air and magnetic resistance, it provides a natural, on water feel. The Diamondback 910R features a steel support frame and commercial-grade aluminum rail, with an easy folding design for post workout storage. The Diamondback 910R rower has received a number of industry accolades and user reviews have been quiet positive overall. The company has made a name for themselves for providing high quality cardio equipment, including exercise bikes, ellipticals and treadmills, at very affordable prices. 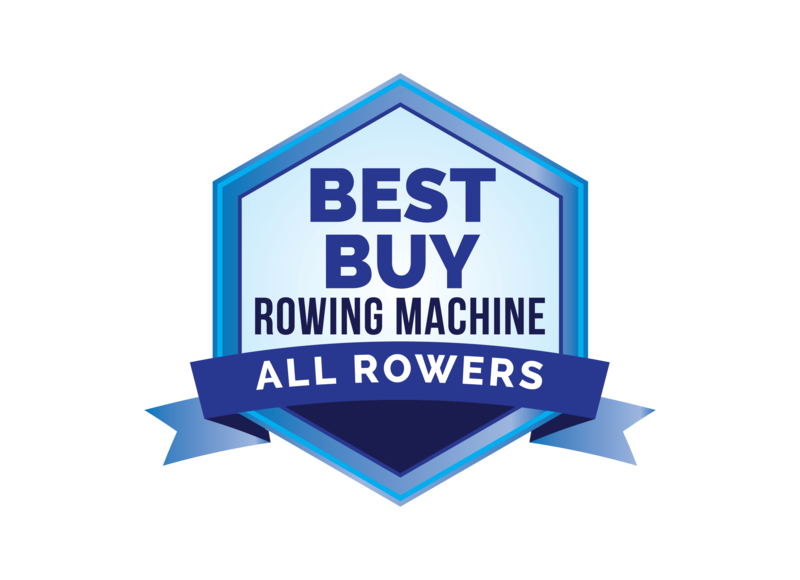 The 910R is well under $700, and has features and capabilities that rowing machines twice the price do not have. For starters, it's a durable machine with club quality components. The combination of air and magnetic resistance makes it very smooth and natural, closer to an on-water feel than you would expect. There are 19 built in workouts to choose from, and they include fitness tests, recovery programs, heart rate control and racing, as well as manual mode. So you can change things up from one workout to the next. If you prefer to use the 910R manually, you can choose from up to 16 different resistance levels. You can work your way up to the hardest levels for a challenge. There is Polar wireless heart rate monitoring capability, but the 910R does not come with a chest strap, so you'll need to purchase that separately. It's always a good idea to monitor your heart rate to ensure that you are in your ideal zone. But you can certainly use the machine without a strap. The 910R is relatively easy to put together, and most users were able to accomplish this in under a half hour which is pretty good for a home cardio machine. It also folds for easy storage, which is always a plus. The rower can accommodate up to 300 lbs. and has a lifetime limited warranty on the frame, 3 years on parts and electronics, 1 year on labor and 90 days on wear items. Diamondback also offers an extended warranty package which gives you 5 years on parts and labor. It's a bit expensive, but you might decide it's worth it for the additional coverage. The also have a 10% military discount which is a nice bonus that you don't typically find anywhere else. OK so there's a lot of great features on the Diamondback 910R rowing machine. But did we uncover anything not so great during our review? Not really. Given the price tag you really can't ask for too much more. The console is very basic but functional. It may not be as advanced as something you'd find on a Concept 2 rower, but keep in mind those are almost twice the price of the 910R. The foot holds are a bit flimsy, but they do hold up even with heavy usage. A more durable material would be a better idea. Other than these minor issues, the 910R rower has just about everything you need. The 910R is a very solid mid-priced choice for your home gym, with a number of good features and capabilities. We like that the console is adjustable for your ideal viewing angle, and the combination of air and magnetic resistance is appealing. You get a wide range of built in workout programs and resistance levels, and taller users will appreciate the longer monorail. It also comes with a very generous warranty, which should give you peace of mind if you decide to purchase this rowing machine. Compare the 910R to other similarly priced models from Stamina, NordicTrack and BodyCraft to see how it compares. You may find one of those rowers more appealing. But for the price, the Diamondback 910R is pretty hard to beat.